The 40-hour workweek seems to be stretching longer and longer; some polls show that nearly 40% of U.S. workers put in 50 hours of work each week and still other polls show that working on the weekend is now quite normal. There’s less and less time -- and energy! -- for a side project. And yet, so many of us wish we could have one. 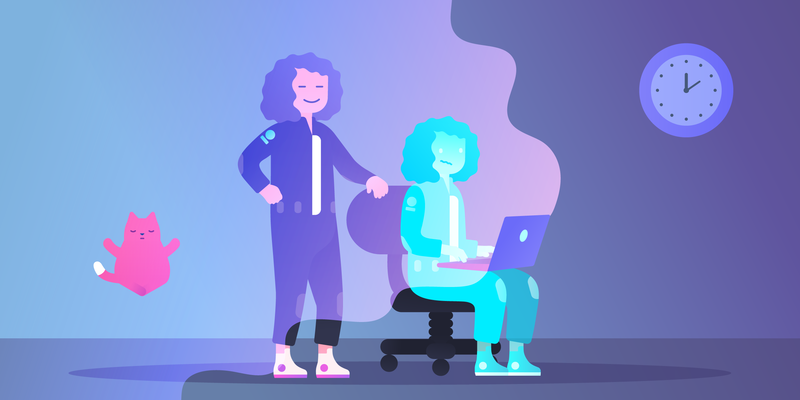 Research has shown that side projects boost work performance and help us feel more creative, inspired, and happy. Imagine having a way to run a side project, even if you don’t have time for a side project. This has been a mission of mine over the past couple of years, balancing work that I love with side projects that I crave. Here are the 6 steps I’ve taken to make side projects happen, even when I haven’t had the time. The above graphic is from Eric Ries, who popularized the theory of lean product development, which has been a key concept for many top tech startups and SaaS companies. Rather than engaging in months of planning and research, (lean) entrepreneurs accept that all they have on day one is a series of untested hypotheses—basically, good guesses. 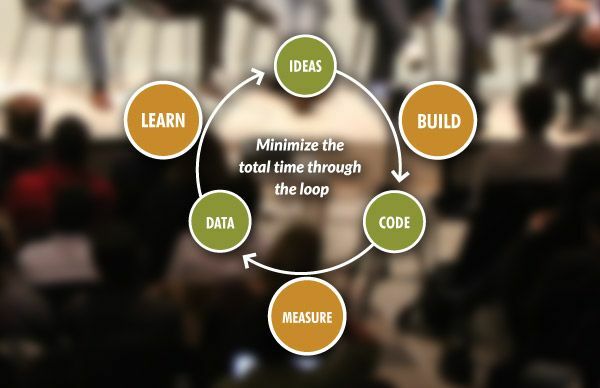 "Lean" means learn as fast as you can---and build the next step based on what you learned from the previous one. And it’s totally fine if you're not keen on building a startup in your spare time. Lean thinking works for any side project. Do people even want to buy marketing e-books from me? Decide how to move forward --- maybe it's a yes, maybe it's a new test! Still, the idea might be a big huge endeavor: a side project that might take more time than you have for side projects. This makes the next step key: After you've settled on an idea, chart a course for how you're going to get there. In product parlance, this is a roadmap (or in road trip parlance, too, I guess!).  You start by envisioning where you want to get, then work your way backward to where you are today. The kanban method encourages focus on just the work that’s actively in progress. Once a task is complete, you pull the next task from the top of a backlog. The scrum method breaks down a project into fixed-length iterations that allow the team to ship something on a regular basis. A subset of scrum, a sprint is a short period (ideally less than four weeks) during which you work on and ship part of a project. I'm a big fan of all three, and I've used the Kanban method in particular for a few recent side projects. 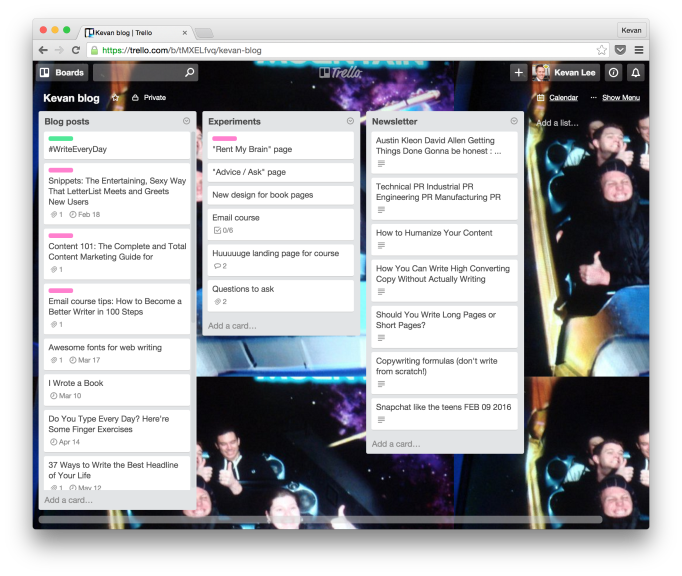 Trello is an ideal way to Kanban, and I use it to manage and view progress on a project. For instance, one of my side projects has been to publish monthly content to my personal website and to keep pace on a monthly newsletter. 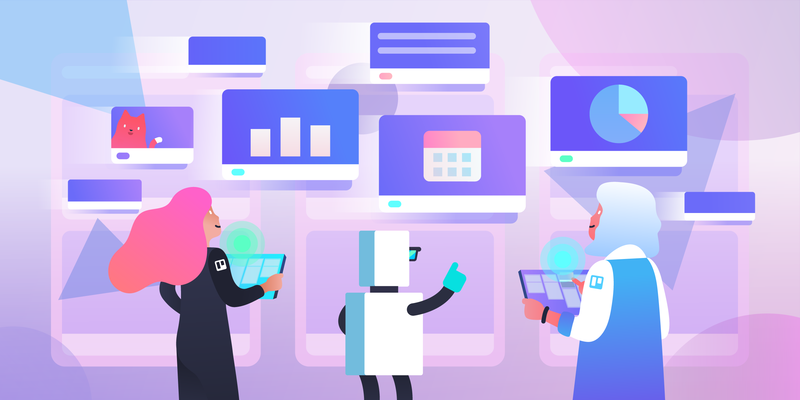 Enter Trello, and voila! I've added all my post ideas to the left column along with publishing dates on my Trello calendar. I now get an email whenever a deadline is coming up. The middle column is for random ideas I have that I'd like to try on the blog (I need to run the Lean process with most of these still!). And the third column is something I've set up between IFTTT, Pocket and Trello so that all the articles I favorite when I read them get sent into a column here on my Trello board for me to email out later on. 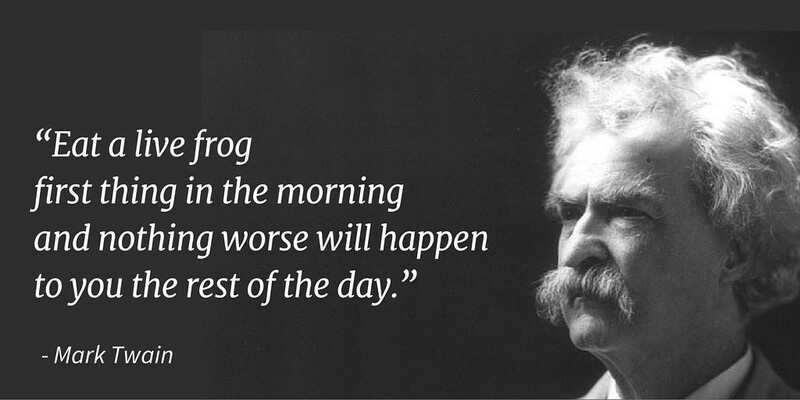 Mark Twain's famous frog quote has turned out to be hugely helpful productivity advice for my everyday workflow. However, I'm not quite so sure that big frogs work for side projects. The fewer the big frogs the better. I've personally found that I can get a bit stuck if there's a large and daunting task in front of me. I'm less excited to start. I'm more overwhelmed at the idea. It may very well end up being something that takes less time than I think, but I'm still unable to get past that initial block. So I've gotten rid of as many big frogs as I can. Put simply, break down your big tasks into smaller ones. I believe that everything can be broken down to a very small degree, even small things broken down smaller, to whatever size fits your bandwidth and free time. For instance, if you want to write a blog post, start by writing an outline. If you want to code an app, start by checking out a book from the library (old school!). If you want to carve a canoe out of a tree, start by clearing space in your garage. Are there things you're doing today that could be handled or improved with technology? It's kind of a tough question, e.g. "you don't know what you don't know." 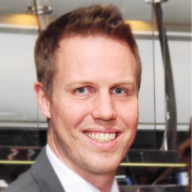 To know these things, there are a couple great resources that I've turned to in order to open my mind to the automation tools that are out there. Both of these services connect one app to another, so that an action in one place (say, posting to Twitter) kicks off an action in another place (say, placing the new tweet into a spreadsheet automatically). 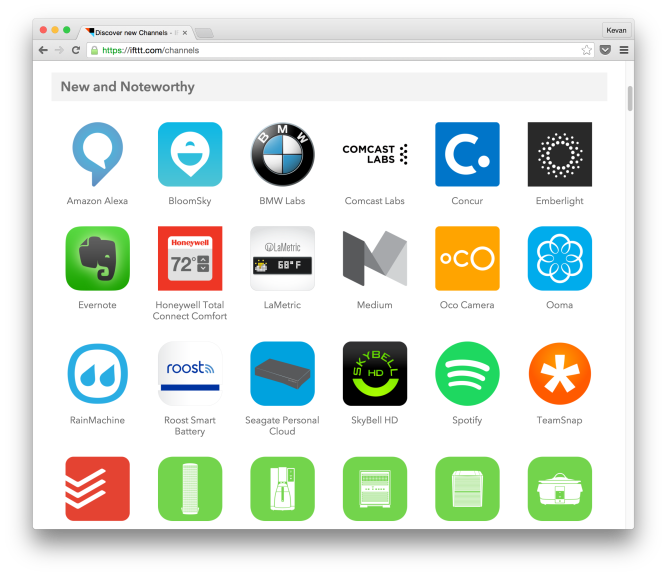 Where I find the greatest use of IFTTT and Zapier is in helping me know what new tools are available to try. IFTTT is how I found out about Buffer and Evernote and Pocket. 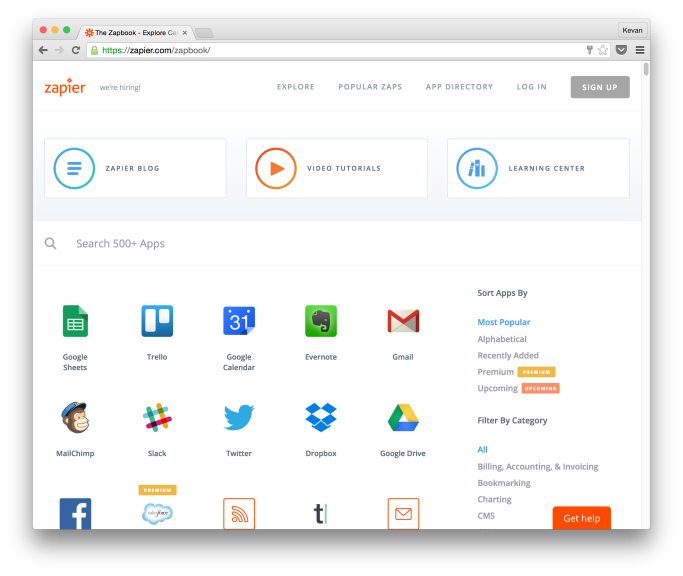 Zapier has opened my eyes to new stuff as well. The way I discover these new tools is via each service's connection page---IFTTT calls them channels, Zapier calls them zaps. 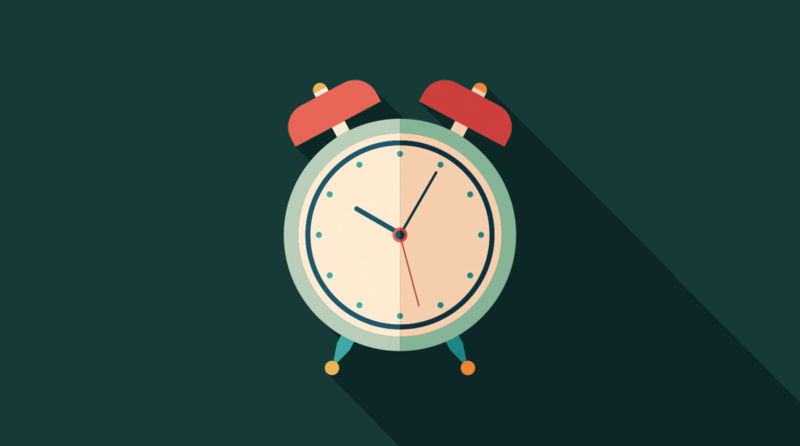 Tweet Schedules, Social Media, And Alerts, Oh My! Here's a cool time saver: You want to keep a consistent, daily presence on social media but you only have Saturday afternoons to spend on your side project. Boom, problem solved! 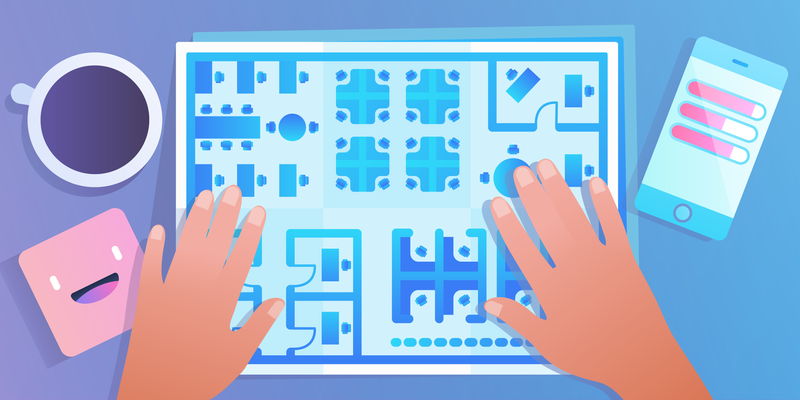 Pretty much every major social media management tools offer robust scheduling so that you can be posting to Twitter, Facebook, Pinterest, and more, whether you're connected or not. I use Buffer for my scheduling; I find the queue system super intuitive and useful. Hootsuite, Sprout Social, and Meet Edgar are popular options as well. 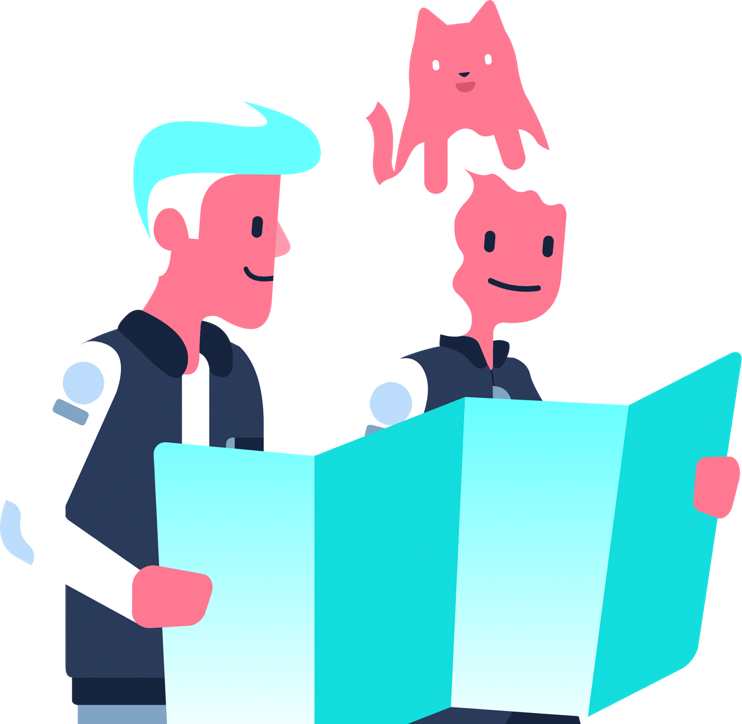 In the spirit of breaking big tasks into smaller ones and setting a roadmap for your side project, calendar events might become a super important part of your side project system. There're lots of great tools to help. Setting due dates in Trello gets you email reminders as the date approaches. Gmail has a neat calendar lab where it shows you a small event notification in the bottom right, which is useful if you're hanging out in the inbox when it's time to switch tasks. One of the ways I tend to lose a lot of valuable time is by surfing the web somewhat aimlessly, under the guise of research or trendspotting. It's much easier when the articles and ideas are brought to me! One of the old standbys for this is Google Alerts, which you can set up to email you any time a keyword is used in a new article. What I've found to be equally powerful is Nuzzel, which delivers you a daily email with the top stories being shared by your Twitter and Facebook friends. 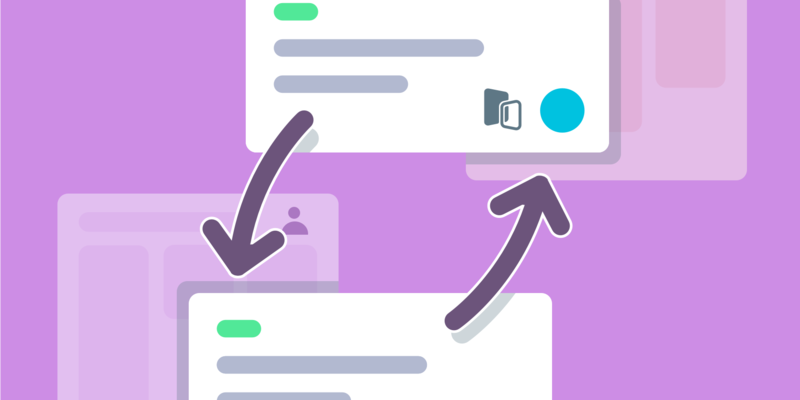 My sneaky side project hack for this one: Create a separate Twitter/Facebook account and only follow those who are relevant to your side project's niche; then connect your separate accounts with Nuzzel. Voila! Custom, targeted news all about your side project. Over time, I've found that advice for side projects isn't always the same as advice for regular ol' daily work. In fact, a lot of the time it's the opposite! Side projects are a very different animal than traditional work. They target a different part of the brain and fit into our daily lives in a wholly unique way. Therefore, they kind of have their own rules. My #1 rule: Be okay with missing a deadline. This is my absolute favorite side project advice: Give yourself grace. Don't sweat deadlines. The only person holding your feet to the fire is you, so no worries if you don't want hot feet! I've noticed this for myself so often. I'll make a yearly list of goals, many of which become side projects for me. And without fail (or, technically, with a lot of fail), I never get them all done. Last year, I completed 33% of my list. Side projects are meant to be fun, and they lose a bit of that luster when things become too focused on deadlines and timing. What side projects are you working on now? It'd be awesome to hear what you're up to and how you're approaching the process. Drop a comment here or find me on Twitter. I'd love to learn from you!